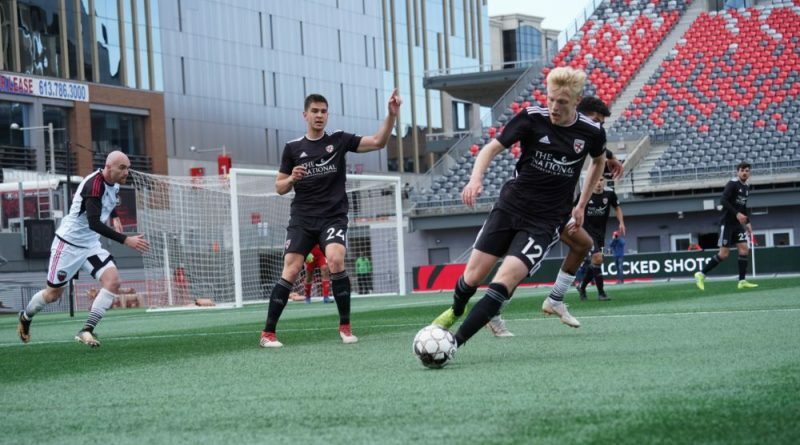 The inaugural win for Loudoun United FC again proved elusive Saturday as the team lost to Ottawa Fury FC by a score of 2-0. The Fury dominated the match with a 61.5 percent time of possession, 18 shots and seven shots on goal. United goal keeper Earl Edwards recorded five saves, but the Fury scored one goal in each half of the match. Williams said more of the team’s young players are gaining valuable playing time.Saturday’s match marked the professional debut of Byrang Kayo and Jack Villatoro. Brennen Conger and Justus Akinlosotu also made Loudoun United’s 18-man roster for the first time. Loudoun United (0-2-2) next plays Saturday against the New York Red Bulls II (3-1-0) in a 1 p.m. game at MSU Soccer Park. The Red Bulls are in fourth place in the USL Championship Eastern Division. Loudoun United sits 15thamong the 18 teams in the division.